– The PLANTIL Moisturizing Body Lotion is designed exclusively with a natural extract of rose and shea butter. 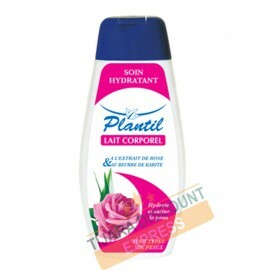 – The Rose is naturally moisturizing for the skins. – It prevents drying of the epidermis and protects it against external aggressions. – Karitè butter is considered as a precious and anti-wrinkle protective care. – nourishes, hydrates and tones dry and irritated skins. – your skin regains its tonicity, suppleness and natural beauty.